Whatever Magazine - "Golden glow at the end of the rainbow"
Italiani.ca - "Little Rachel raises $20,000 for SickKids"
Vaughan Citizen - "Rachel's Rainbow a hit"
Vaughan Today - "A ray of hope"
Whatever Magazine - "For the Love of a Child"
Vaughan Today - "Woodbridge families rally in face of tragedy, illness"
3rd Annual Rachel's Rainbow fundraiser for SickKids! Thank You! 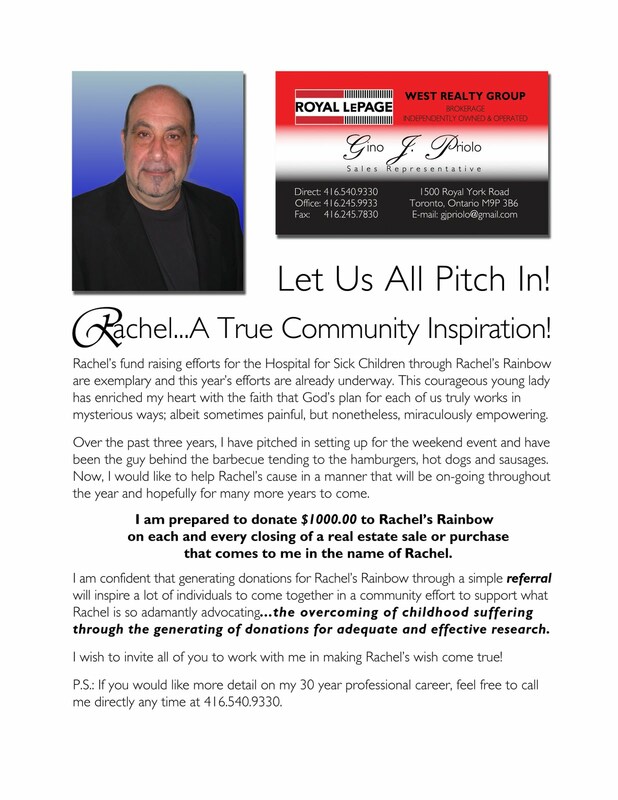 2nd Annual Rachel's Rainbow fundraiser for SickKids! Thank You! Rachel sets up her 1st Rachel's Rainbow fundraiser and raises over $10,000 for SickKids!